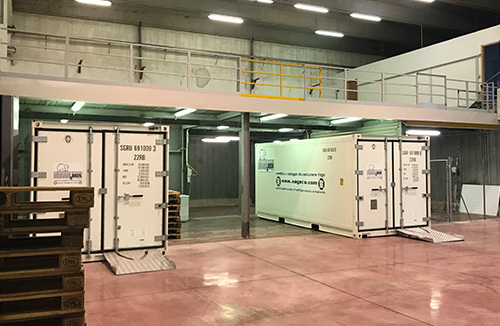 The new structure consists of 400 square meters plus a mezzanine of 200 square meters, we have equipped 2 cold storage containers to offer the goods storage service +4 -30 ° C. (fresh and frozen). The warehouse is also “Approved Place” thus allowing the customs clearance operations on site without direct intervention by the Customs Agency. 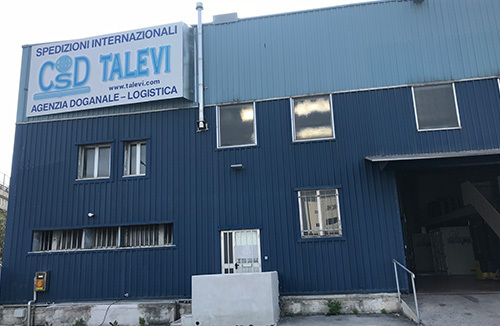 The Warehouse is also authorized by “Agenzia delle Entrate” to offer the “VAT Warehouse” service for imported goods. 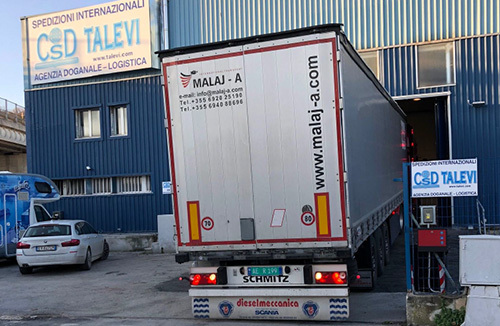 To all companies that need a space at the port of Ancona for both import and export. > Alarmed video cameras monitored. > Processing of shipments in Import and in Export. It is a physical deposit in which national, community or non-EU goods are kept (the latter “released for free circulation” through payment of any duty) for which the VAT tax can be paid at the time of the extraction of goods from the deposit for release for consumption. Using this tool, the depositing company (importer) can derive an important economic benefit. Especially if you are on credit with the tax office, import with the ability to pay VAT later !! it is a significant advantage in terms of cash liquidity. At the time of extraction of the goods from the VAT Deposit, the depositor will issue a self-invoice for the amount of VAT to be paid, which will be simultaneously entered in the corporate VAT records of both purchases and sales. In our warehouse the export customs operation is carried out directly by us, the export declaration relating to your goods, after being sent electronically to the Customs Agency’s cerved, is immediately released to continue if the control channel of the Agency Customs decree CA (Conforme admitted), while if the channel decrees the CD (Document Control) must wait for the technical time that the electronic file (containing all the documentation of the shipment) is sent electronically and viewed by the Customs and subsequently “released”. If instead the customs channel decrees the VM (Visit Merchandise) in 20 minutes a customs official will arrive at our warehouse and will carry out the physical check of the goods and the subsequent release. › In the case of a VM, the goods are checked in our presence and with all the necessary equipment to protect the customer’s goods.